Once upon a time, parish gardens such as that of St Peter’s, which dates back to the 12th century, secured the livelihood of the priest. At the same time, the garden served as a fairground for patron saint festivals. 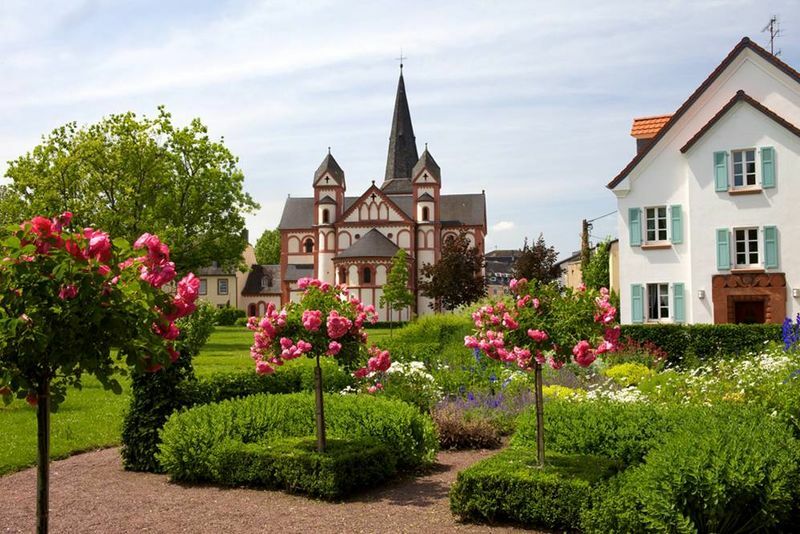 The garden of the only preserved Romanesque ecclesiastical building in the Saarland is framed by a sandstone wall covered in ivy. Shielded from the hustle and bustle of the provincial town, it has become a place for contemplation and quiet reflection: with a well-tended cutting garden, traditional fruit orchard and flowering herbaceous border along the paths.